One of the fortunate (or unfortunate for my wallet) side effects of another great Marvel studios movie, is when it inspires me to read any comics I can find of a character I may never have been all that interested in before. The Avengers inspired me to track down any Black Widow comics I could get my slippery hands on. In preparation for Thor: The Dark World, I read far more Thor comics than I thought I ever would in my lifetime, in the span of a few months. Going all the way back to ’01, the first Sam Raimi Spider-Man reignited my interest in comic books. Captain America: The Winter Soldier would be no different. Along with another great performance by Scarlett Johannson as Black Widow, the first thing I wanted to read after seeing the movie was a series named Secret Warriors. At this point I’d like to offer the obligatory SPOILER WARNING for Captain America: The Winter Soldier, and MINOR SPOILERS for Secret Warriors. Secret Warriors was a series starring Nick Fury, operating independently from S.H.I.E.L.D. and leading a team of new recruits against Hydra. Following the Secret War mini-series, Nick Fury had gone underground, leaving S.H.I.E.L.D. in the hands of Maria Hill, eventually enabling Civil War. Nick Fury discovered the existence of undercover Skrulls on Earth, and recruited a team of young superpowered individuals from old S.H.I.E.L.D. files. The characters were introduced in Mighty Avengers #13, and made their first impact in Secret Invasion #3. The team consisted of Yo-Yo Rodriguez (super speed), Sebastian Druid (magic), J.T. 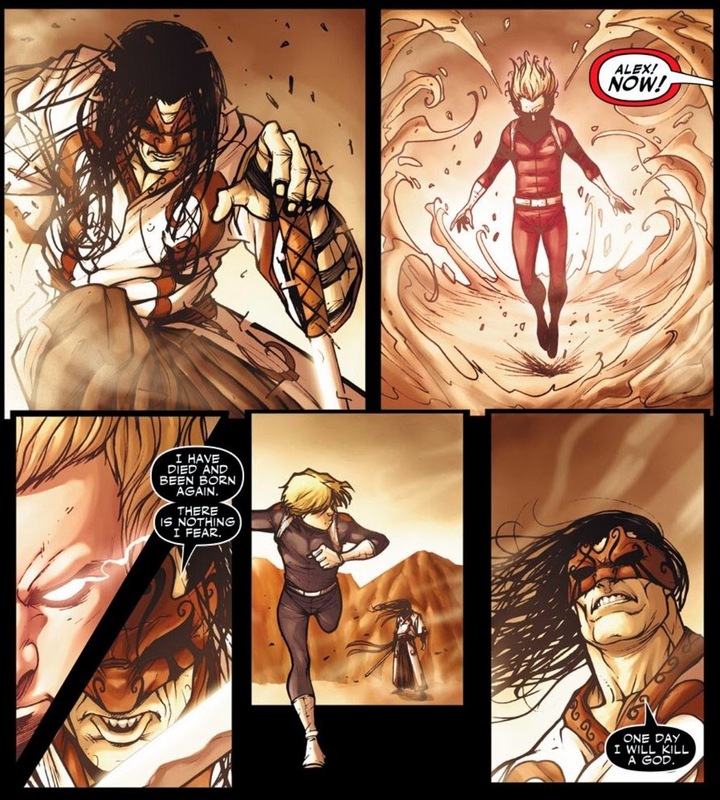 James (charges objects with fire), Stonewall (superhuman strength and endurance), Eden Fesi (teleportation portals), Alexander Aaron/Phobos (Son of Ares/God of Fear), and the previously introduced former S.H.I.E.L.D. agent Daisy Johnson, who served as the team’s field leader. Fury and his team of secret warriors led a series of attacks on the Skrulls, rallied the other heroes, and eventually were instrumental in turning the tide of the war. Unfortunately, Norman Osborn was appointed director of S.H.I.E.L.D. (which he would change into H.A.M.M.E.R.) after killing the Skrull Queen during the climatic battle, leading into the Dark Reign status quo that would blanket the Marvel universe for the next year. 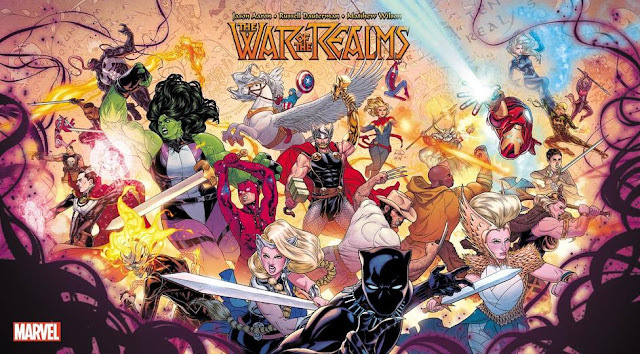 Secret Warriors would launch as part of that Dark Reign banner. The series was written by Jonathan Hickman, with plotting assistance from Brian Michael Bendis, and art by Stefano Caselli. This would be Hickman’s first work in the Marvel universe, following his critically acclaimed creator-owned work. (I like Hickman’s Marvel stuff more often than not, with him accomplishing the impossible by getting me to read Fantastic Four on a semi-regular basis. His independent work is entertaining as well, especially Manhattan Projects.) Caselli would go on to be a favorite of mine as part of the rotating team of artists on Dan Slott’s Big Time run on Spider-Man. The hook of the series would be provided by the shocking last page of the first issue, which also happens to be a key plot point of Captain America: The Winter Soldier. 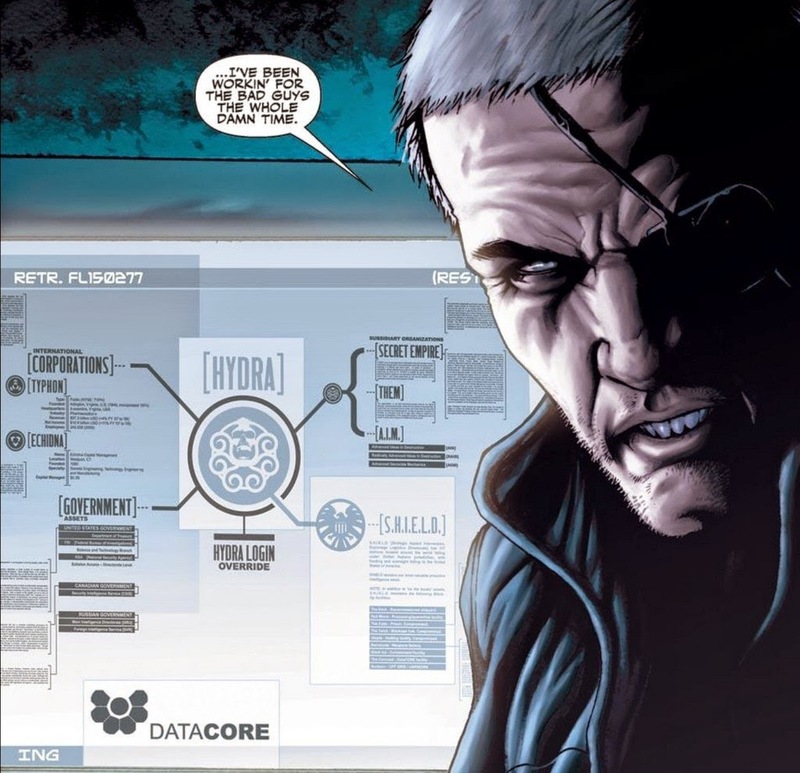 Nick Fury discovers that Hydra has been secretly running S.H.I.E.L.D. all along, and that he’s been their puppet since the beginning. This part in the movie was a genuine geek out moment for me, as it fit in perfectly as a continuation of the first movie, and of course, instantly made me want to re-read this series. With this new information, and Hydra reeling from the Skrull attack like everyone else, Nick Fury decides to unleash his final gambit to win the war against Hydra once and for all. Hydra is now being led by a group including Baron Von Strucker, Madam Hydra, the Kraken, and the Gorgon. Their goal is to seize as many old S.H.I.E.L.D. assets as possible before H.A.M.M.E.R. and the U.S. government can take control of them. Nick Fury and his many field teams do their best to prevent that from happening, while also following Fury’s own mysterious machinations. Despite the title of the comic and the existence of this new team, this was very much a Nick Fury comic. The new characters are interesting and engaging without requiring the full focus of the book. 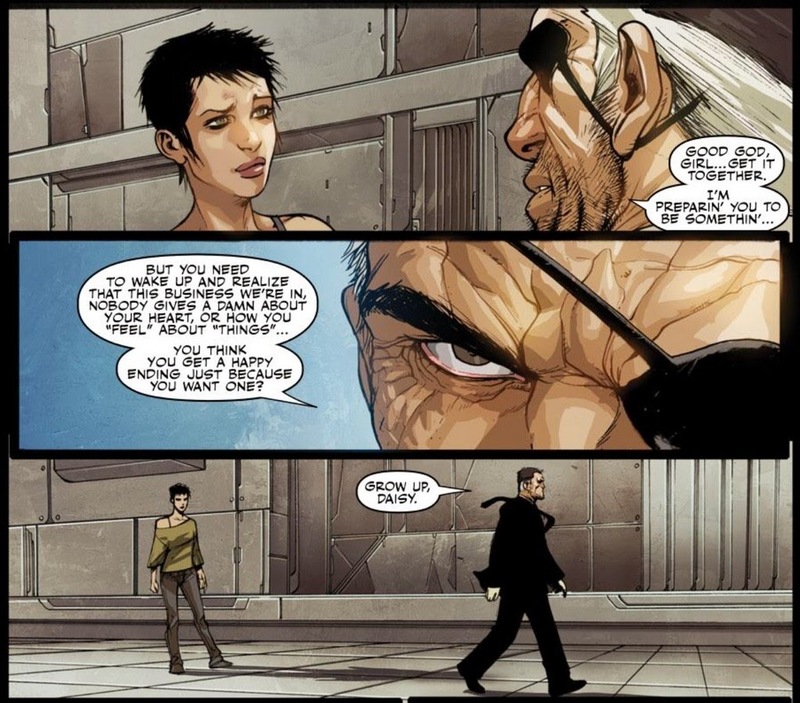 Alexander and Daisy are standouts, with Daisy especially stepping out of her (in my mind) role as Maria Hill lite. Daisy goes through a lot as lieutenant to the enigmatic Fury, who doesn’t (and can’t) let her know the full scope of his plans. By the end, you’ll be a fan of hers, that I can guarantee. On the Hydra side of things, Baron Von Strucker is definitely the focus. But the Gorgon is fantastic as an opponent to be reckoned with. Like I said before, I was never a big fan of the spy organizations as a kid, but the movies have definitely elevated Hydra in my eyes, and I imagine this is about the best portrayal of them you can find. The Howling Commandos and Captain America make memorable appearances as well, all to varying degrees. 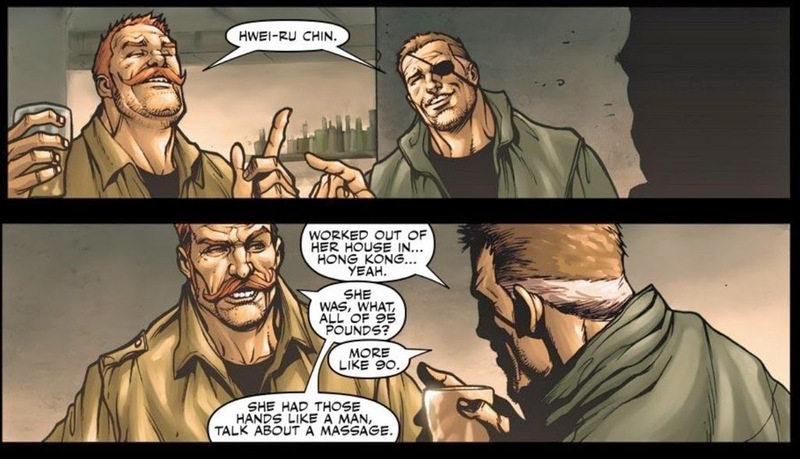 Dum Dum Dugan fans will not be deprived. Eventually a third group, Leviathan, enters the fray. At first, with all these groups and characters that are familiar with each other, you may think you missed something, because not everything is explained right off the bat. 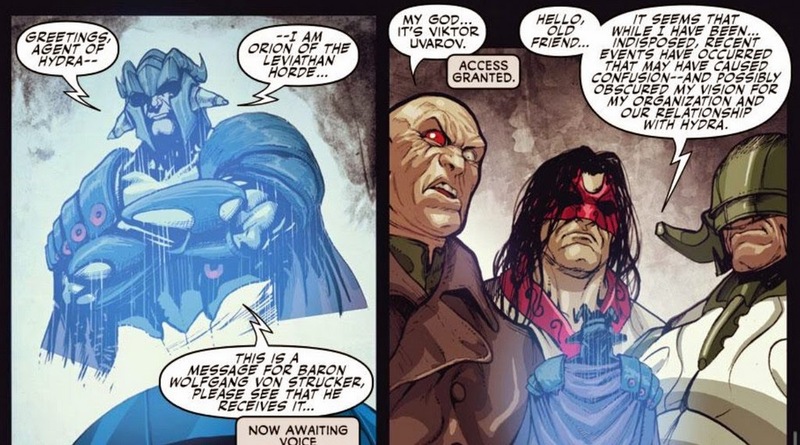 I felt like maybe Hickman was using some old continuity that I wasn’t familiar with (and maybe he was), but rest assured, all will be explained by the end. That, ultimately, is what the strength of the series was. Hickman deftly weaves a long-form story through flashbacks and slow reveals, and more than a few surprises along the way. 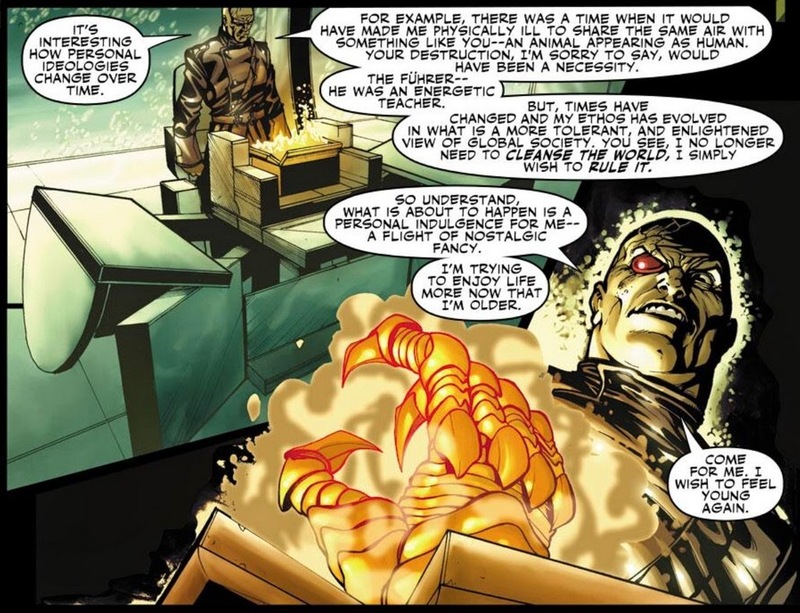 He even goes as far back as adding a connection to the Scorpio storyline from classic Nick Fury comics. 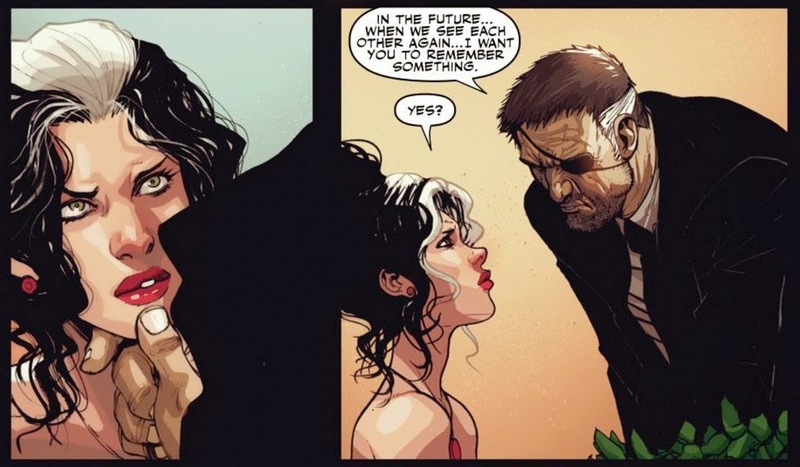 The story has many double agents, moves and countermoves, twists and turns, betrayals, all while Nick Fury calmly runs his operation like it’s all going to plan, because maybe it just is. This is Fury at his best, four steps ahead of everyone else, which is the only way to play him in my mind (unlike Batman, who should at some point be fallible). Hickman has become fairly well known at this point for his expansive storylines with meticulous planning, mostly from his lengthy run as the writer of Fantastic Four, but I think his time on Secret Warriors provides an even tighter and more satisfying epic in one easy-to-read series. If you’re like me and left Captain America: The Winter Soldier enjoying Hydra’s role in the movie, as well as the espionage aspects of the story, than I highly recommend you pick up Secret Warriors. 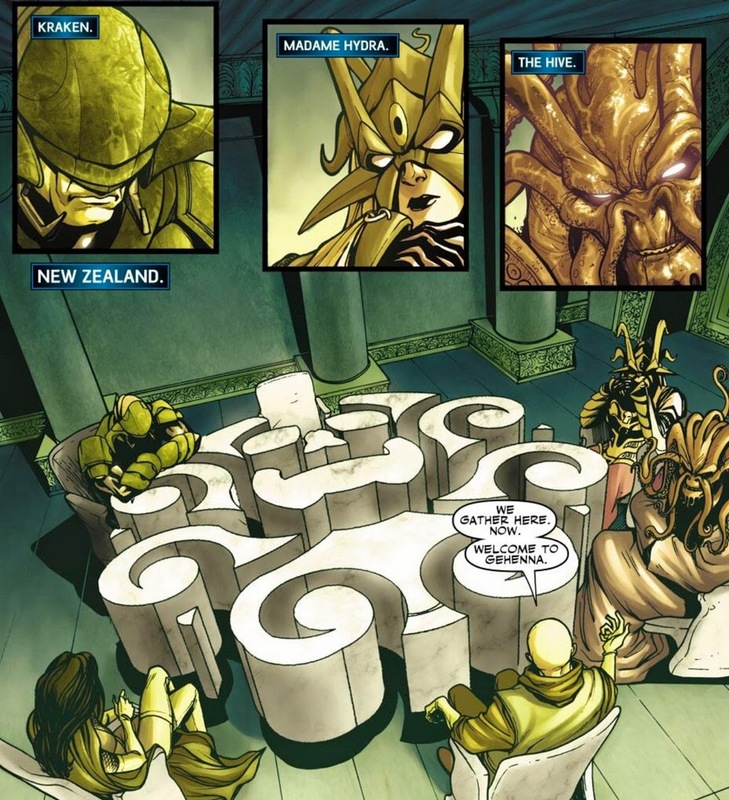 Do what you can to combat international terrorism, by…uh, sitting around reading comics.